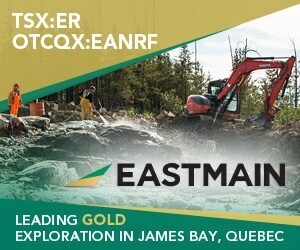 February 21, 2019 (Source) — Goldplay Exploration Ltd. (TSXV: GPLY, FRANKFURT: GPE, OTCQB: GLYXF) (“Goldplay” or the “Company”) is pleased to announce high grade silver (Ag) results from a trench extending silver mineralization from the resource area to the Faisanes target (Figure 1) at the San Marcial Project, located in Sinaloa, Mexico. Goldplay recently announced a NI 43-101 resource for the San Marcial Project (see News Release dated 7 February 2019) and is undertaking exploration on the remainder of the concession to identify additional resources along the 3.5 km mineralized trend. The SMtr-001 trench is located in the northwest of the San Marcial Resource Area, in the Faisanes target (Figure 2), and it has a length of 113 metres, extending the mineralized zone from the resource area on the footwall of the deposit. Faisanes is a new target that was identified by Goldplay during recent surface exploration activities (see News Release dated 18 January 2019). Channel sampling of the trench has identified a broad area of mineralization with a true thickness of approximately 56 metres, and the mineralization has a similar orientation to the adjacent resource, trending northwesterly, parallel to the high-grade Breccia zone in the resource area. This 56 m broad zone contains an average grade of 196 g/t Ag (Table 1, Figure 3). Within that broad zone of silver mineralization, two separate high-grade zones exist, representing potential open pit amenable zones for future drilling. The first zone is estimated to have a true thickness of 15 m at 472 g/t Ag and the second zone is estimated to have a true thickness of 14.6 m at 211 g/t Ag. Goldplay President and CEO Marcio Fonseca commented, “These excellent silver results from trench SMtr-001 are highly encouraging as Goldplay strives to expand the silver resource at the San Marcial Project. The high-grade silver results suggest that mineralization from the resource area may be continuous into the adjacent Faisanes area, with definition of parallel zones, which would validate discoveries of new mineralization encountered in the footwall of the deposit when logging and assaying historical drill holes in the second half of 2018. The trench displays significant widths of high-grade silver mineralization at surface, supporting the upside potential to expand the resources in the near future. We are currently planning additional trenches to follow up the mineralization identified at Faisanes along strike to the west-northwest. Channel samples from SMtr-001 were collected with a rock saw, typically on 1 m continuous intervals, unless prevented by access. The samples were sent to the SGS de México, S.A. de C.V laboratory facilities in Durango, Mexico where they were analyzed for gold using fire assay, and multi-elements (including silver) using ICP. Results from the other elements analyzed in the laboratory process are currently being reviewed. The San Marcial Mineral Resource has been estimated along a 500 m strike length which makes up part of a 3.5 km long mineralized zone, supporting potential for resource expansion. The Company continues to advance surface exploration at the San Marcial Project, focusing on the five targets recently identified by soil and rock sampling (News Release dated 18 January 2019). These targets, including Faisanes, are yet to be drilled and are located in the vicinity of the Mineral Resource. Goldplay has already received drilling permits to advance a significant drilling program in 2019.